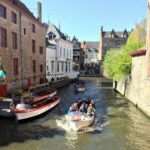 This is part 1 out of a 5-part series of my travel experiences in Belgium. 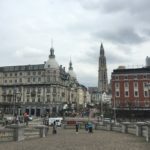 I visited a total of 5 cities: Antwerp, Geel, Ghent, Brussels, and Bruges. 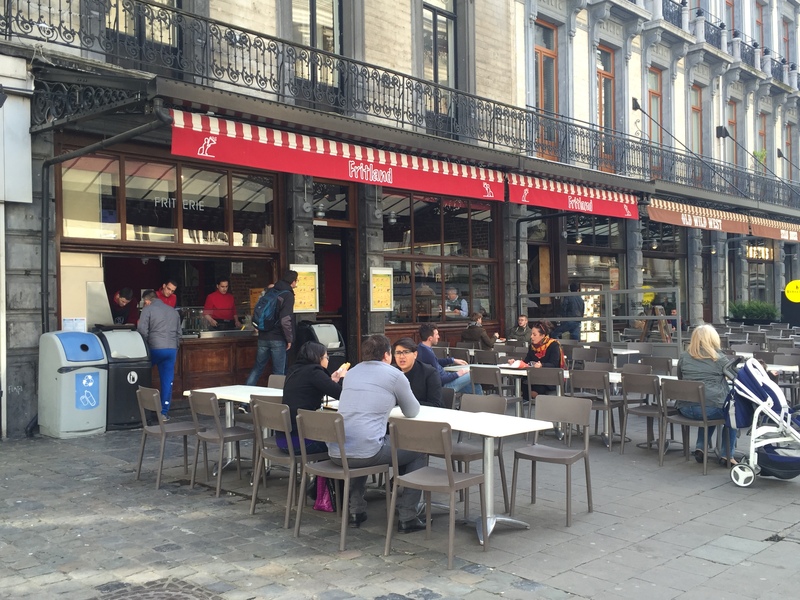 In each city, I made a point to eat their fries and waffles, and to figure out what’s so good about their Belgian waffles and fries. 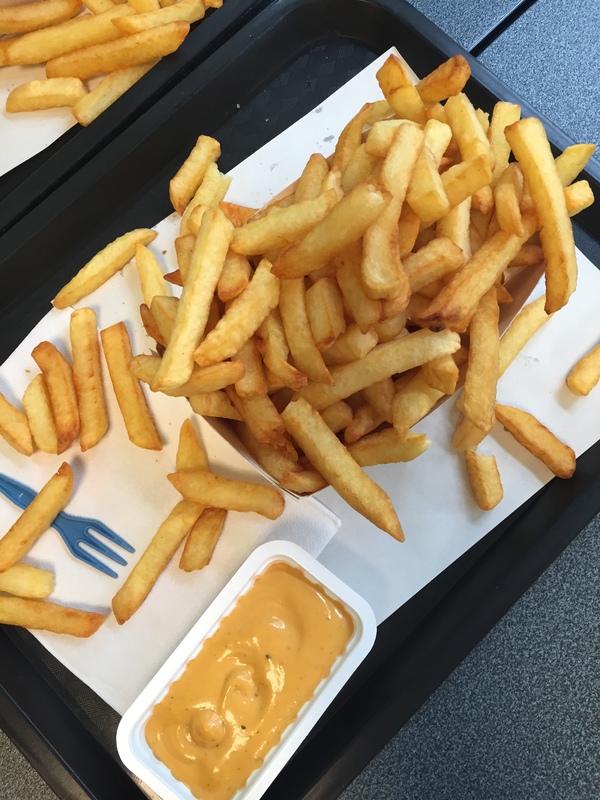 In this post, I’m going to share with you 5 fries stores in the 5 cities I’ve visited, and recommend some of the must-try fries in Belgium! There was a long queue outside of the store, and I thought that meant there are some good fries here! Don’t have too high an expectation for the fries, as it was just so-so, and not justified by the long queue. Also, the staff was pretty rude to us, telling our group to move out of the shop once we had finished our fries as this was not a place to sit and talk. The upper level of the store was pretty empty and there wasn’t even a queue downstairs – that was some serious customer disservice. Verdict: normal fries, normal dips, bad customer service, not worth the visit. 3 trays of x-large fries for 6 persons to share.. that’s abit too much actually! I love this place! It’s the place where the locals go for their fries, as recommended by Natalie, the daughter of my couchsurf host. Other than fries, the shop also serves meat on sticks. My couchsurf host recommended for us to try the mayonnaise here, as it tastes differently from (and apparently better than) the Netherlands. I would recommend trying their stew sauce – the sauce has some beef bits in them! Geel isn’t a touristy kind of place. 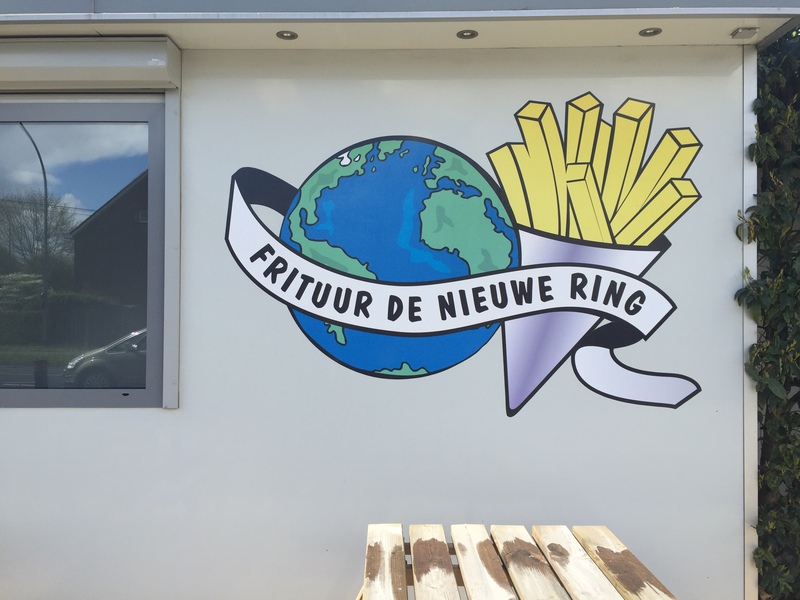 So if you are visiting Geel for some reasons, you can consider trying this fries store! Thankfully we were early, as the store was filled with people around lunchtime, and there were not many seats available in the store. 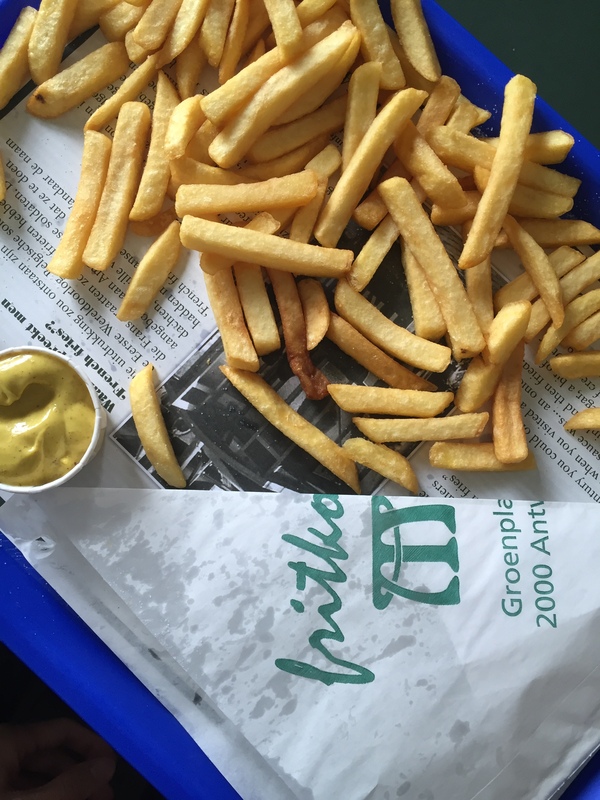 Verdict: nice, crispy, golden brown fries; good sauces – especially the beef stew; non-touristy – be like a local! Worth a visit if you are in Geel! Verdict: the fries doesn’t taste fresh, but still crispy and good; try their tartar sauce! With the portrait of Manneken Pis at the back! 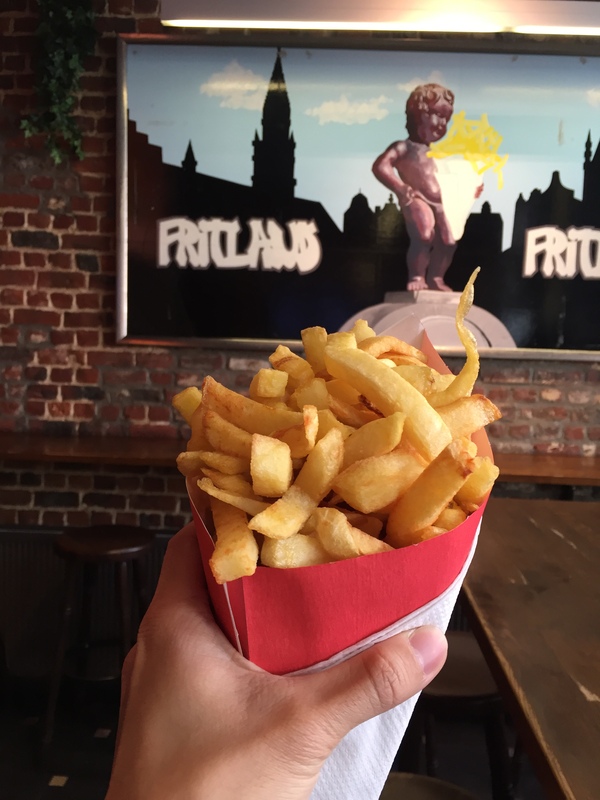 Best fries in Brussels – Fritland!! Recommended by my couchsurf host, Louis, who had spent some 2 years living abroad, away from Singapore. This store is located just beside the Brussels stock exchange, and it is difficult to miss this place. The only thing here was that the staff gave us a condescending look when we ordered only one large fries for a group of 4. He asked repeatedly if we only wanted one, which made us feel unwelcomed to sit in the store for the fries. We tried their cocktail and tartar sauces – both sauces were good because the fries were good! As this was the fourth day we were having fries… we didn’t want to have too much of it, due to diminishing marginal returns. Verdict: enjoyed the fries a lot! A good snack to have in the cold =) Must visit! A very generous portion of beef stew with a large portion of fries, this costs €9 and is sufficient as a meal itself! In the heart of Bruges is the Market Place, a popular central plaza with many dining options. There are two food trucks here competing to sell fries to tourists and locals. I chose to patronize the truck on the right, and got this beef stew fries. €9?! It better be huge – and I wasn’t disappointed by the portion. It was sufficient as dinner for two. The highlight of this dish isn’t the fries, but the beef stew. The meat was chunky, well-cooked (not overcooked), easy to eat with a small plastic fork, and there were tastes of beer in their sauce. All these added together, with the fries as accompanying carbs, this dish is indulgent if you were to have it by yourself! Verdict: you have got to try this!! How would I rank the cities in terms of their fries? 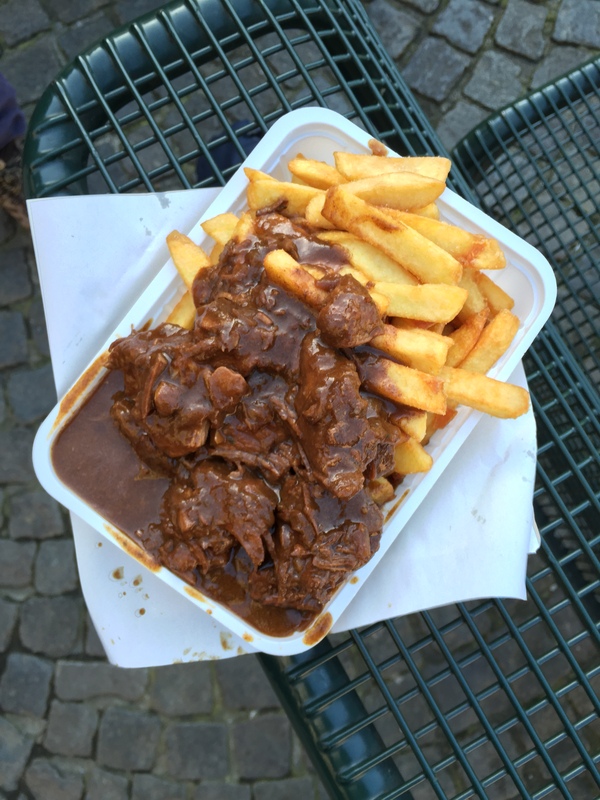 Overall, I enjoyed the beef stew + fries in Bruges most, followed by the local fries in Geel and Fritland in Brussels. 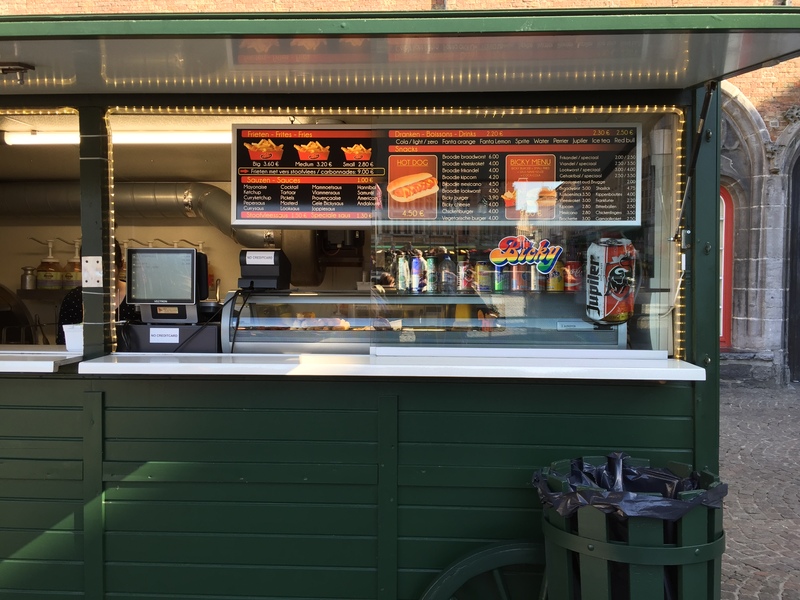 Although highly rated in Tripadvisor, you can give a miss on the fries store in Gent. 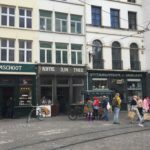 I wouldn’t even recommend the one in Antwerp – it was a mistake to have entered the store. 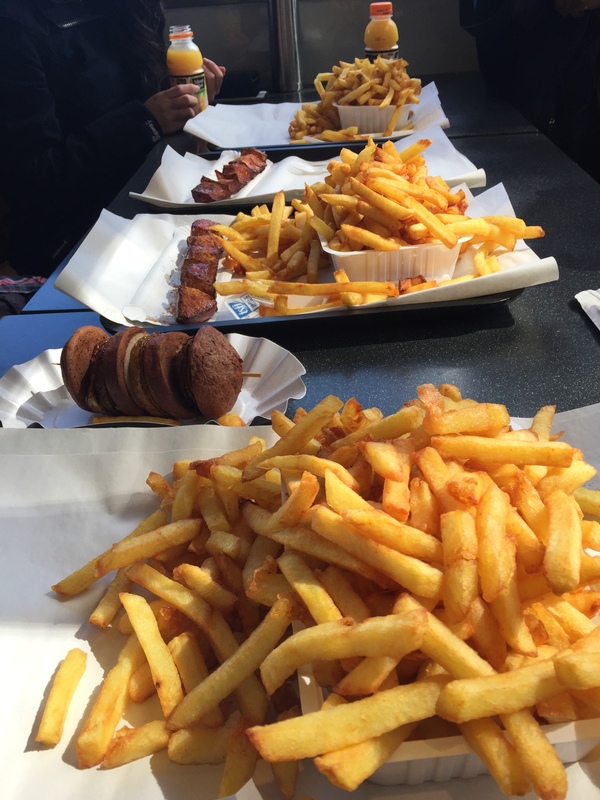 I did not try different fries within the same city – that would have been too much. 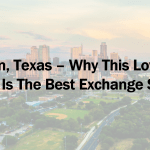 Therefore, I can’t say I have covered all grounds within the cities itself. Do let me know if you have other recommendations to share!